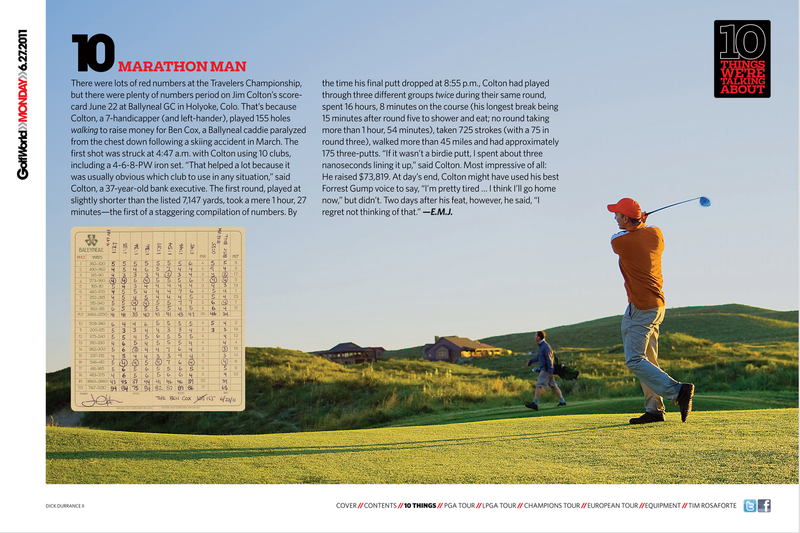 Anybody who has ever been out to Ballyneal knows the caddies are a big part of the experience. Most are high school and college kids from the area. 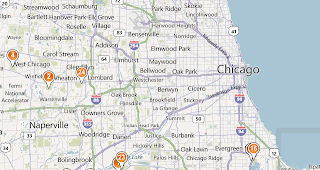 And "area" is defined loosely, because some come from up to two hours away just to earn a $75-$100 dollar loop and a chance to be an Evans Scholar. 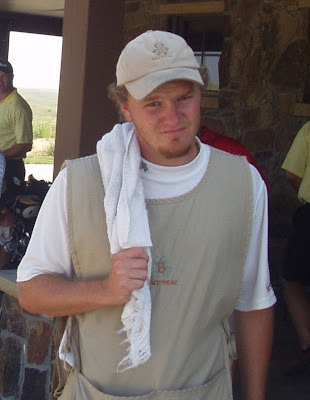 Over the years, seven Ballyneal caddies have earned scholarships at Colorado University through the Colorado Golf Association Eisenhower-Evans Scholarship Fund. Since my first trip to Holyoke in 2008, I've had caddies that run the whole gamut - from caddies on their first loops to ones that who know every inch of the wild Ballyneal greens. Either way, every experience I've had there with the caddies has been a positive one. They are simply great kids - warm, down-to-earth, helpful and hard working - consistent with just about everybody else I've ever met in that region of the country. Getting to know the caddies and building relationships with them over the years is one of the best parts of Ballyneal. Of course, it didn't take long for them to realize that I'm a golf-crazed maniac, and I get needled for it constantly. The caddies are constantly egging me on to play more holes...to keep chugging for 72 holes after just finishing my 54th, for example. Last year, two caddies, Nick Flaa and Gary Nelson, threw down the gauntlet and played 100 holes in a day. Their primary motivation was just to get under my skin. My gut reaction was to immediately go out and bring the record back to its rightful owner, but scheduling, conditioning and footwear issues forced me to postpone it until 2011. Now armed with three new pairs of True Linkswear shoes and about 25 less pounds of spare tire, I'm ready to take on the challenge and raise the bar even further. Six-full rounds -- 108 holes, is my number. During the offseason, I started to make plans to use the marathon to raise money for the local Holyoke High School golf team and the CGA scholarship fund. To give back to the kids who had meant so much to me. But unfortunately, a much more pressing need became apparent recently. One of the caddies, Ben Cox, was seriously injured in a skiing accident in March (details here). He suffered a broken femur and broken neck and is currently paralyzed from the chest down. But Ben is in great spirits all things considered and is ready to take on the long recovery process head-on. When I heard the news, I knew I had to switch the focus of the marathon. 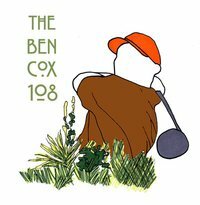 On Monday June 20th, I will be walking (at least) 108 holes of golf to raise money for Ben and his family as they begin to face this long recovery process. 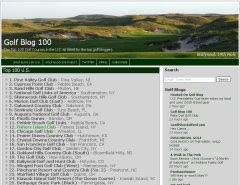 If you've been out to Ballyneal and have enjoyed your time there, or have gotten any entertainment value out of this blog over the past five years, or you simply want to help, anything you can contribute on a lump-sum or per hole basis is greatly appreciated. You can e-mail me directly at jcolton31@gmail.com and I will provide more details on how to contribute. Also, if you want to take an active role in this fundraiser, I'm willing to host anybody who can raise $500 or more on their own to join me at Ballyneal on June 20th for what I'm calling the "half-marathon" -- 54 holes in one day. My only request is if you see a single lefty in an orange hat coming up on your group, please let him play through. [April 14 Update: I just spoke to Ballyneal and they are generously going to pitch-in TWO FREE FOURSOMES for a day of golf in the future. Anybody who contributes $1/hole or $100 gets an entry into the drawings. The first foursome winner will come via a straight random drawing. The second foursome winner will come via a pool where you guess the total number of strokes played over par over the 108 holes (you could guess under par, but you would lose). If for some reason I fall short of 108 (which unless I get struck by lightning or have a heart attack, will not happen), it will revert to straight random drawing like the other one. Since there can only be one guess per stroke, it will be first come first served on locking in your number. [April 30 Update: I got the chance to visit Ben at his rehab hospital today. Getting to know Ben and his family was the highlight of a tremendous two-day trip to Denver. I continue to be inspired by their committed faith and positive attitude in the face of this devastating injury. Ben shared that his short-term goal is to play golf out at Ballyneal this summer, with the use of a special golf cart. If he's out of the rehab hospital in time, he's going to try to be at the marathon. If not, he's hoping to hit the first shot at an event the club is planning for him later in the summer. Longer term, he's planning on finishing his studies as a civil engineering studies at Texas Tech. He was on spring break when the accident occurred, and was bummed because he was doing really well this semester. Now he'll eventually have to re-take the same classes when he eventually goes back, I think in fall 2012.